Perhaps because of its length as well as its subject matter, a summarization of Prince Lestat and the Realms of Atlantis can in no way do justice to its plot. Lestat is now Prince of the Vampires, struggling to bring organization to the scattered numbers and stop the taking of “innocent blood.” He has also been possessed by an entity called Amel, an ambivalent relationship, because both host and parasite wish to be free of each other. The only problem is that Amel exists to some extent in all vampires; if something happens to Lestat, all experience it and for Amel to leave his body, all vampires would cease to exist. A consummation devotedly to be wished, except that vampires under Lestat’s leadership are attempting to keep a low profile and not be a threat to humankind. Against this backdrop is played out the struggle of a revenge-seeking vampire and the discovery that there are non-human entities, the People of the Purpose, posing a possible threat to the Undead, creatures somehow related to Amel. They’ve been sent by an unknown power, the Parents, to destroy human life and let evolution begin again, to have a species besides Man become dominant as has happened on other worlds they control. Once on Earth, however, in a place called Atalanaya, that which history knows as Atlantis, the creatures become so enamored of mankind they no longer wish to fulfill their mission. The entities vow to protect the Earth, not destroy it, and part of that protection involves releasing Amel from his prison within Lestat’s body . . . without killing anyone. Can it be done? Will Lestat risk his existence and those of his subjects and allow it, opening the way for benevolence for all Earth’s inhabitants? Followers of the Vampire Chronicles will be familiar with the characters and events leading up to this novel, but for the uninitiated, the old adage, “You can’t tell the players without a program,” will ring more than true. In spite of the insertion of a History of the Blood Genesis and a mini-dictionary of Undead argot before the novel and two appendices afterward, consisting of a Dramatis Personae and a chronological bibliography of the series, it’s still difficult to tell who’s who a good deal of the time without continually referring to these listings. 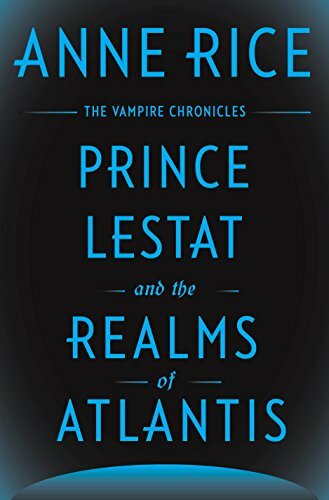 Prince Lestat and the Realms of Atlantis may encourage those who dropped the series following the release of Queen of the Damned to return to read the other stories. Buried within the verbiage and reiterations there’s a message—if only it hadn’t been delivered quite so pedantically. It does ask one question that is both easy and difficult to answer: Who says you have to be human to have a soul? Prince Lestat and the Realms of Atlantis will undoubtedly win Rice new fans and welcome back old ones.